This photo was taken in December 2014 with a Canon 5D MkIII and Canon EF 24-105mm f/4L IS USM. Photographing lightning can be very dangerous but very simple and requires little skill. 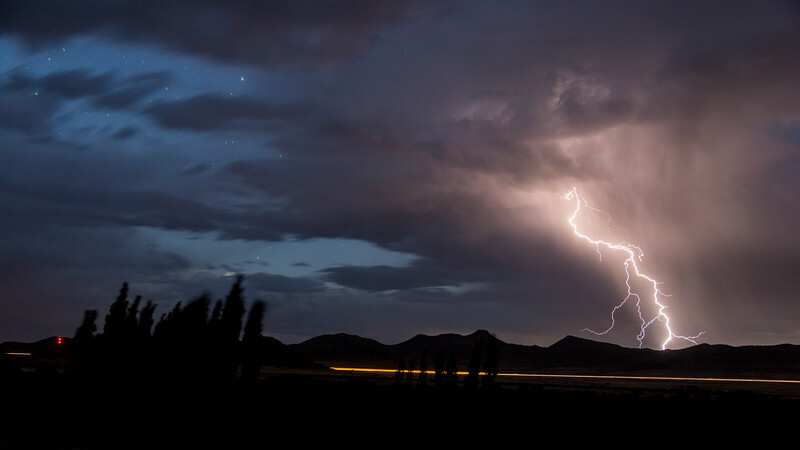 The easiest way to photograph a lightning strike is to set the camera to a long exposure on a tripod and take repeated shots as apposed to using a specialised trigger method.